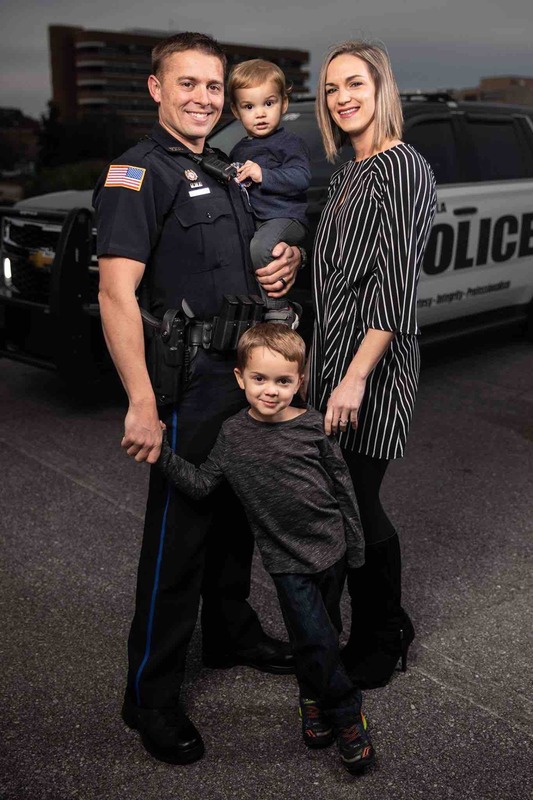 Police Officer and Combat Marine Veteran- Grade 4 Glioblastoma Multiforme. Stephen Grogan is fighting a battle for his life. Diagnosed with Glioblastoma Multiforme (GBM) in July of 2017 after complaining of headaches. He was able to have a successful total resection of his tumor followed by radiation therapy and chemotherapy. His last maintenance MRI 1/07/2019 they found a new tumor. The tumor is located inside his corpus callosum in both left and right hemispheres of his brain. He has been given a diagnosis of less than a year. Because of the location of his tumor he is not eligible for surgery or a gamma knife procedure and now has to depend on a clinical trial to save his life. 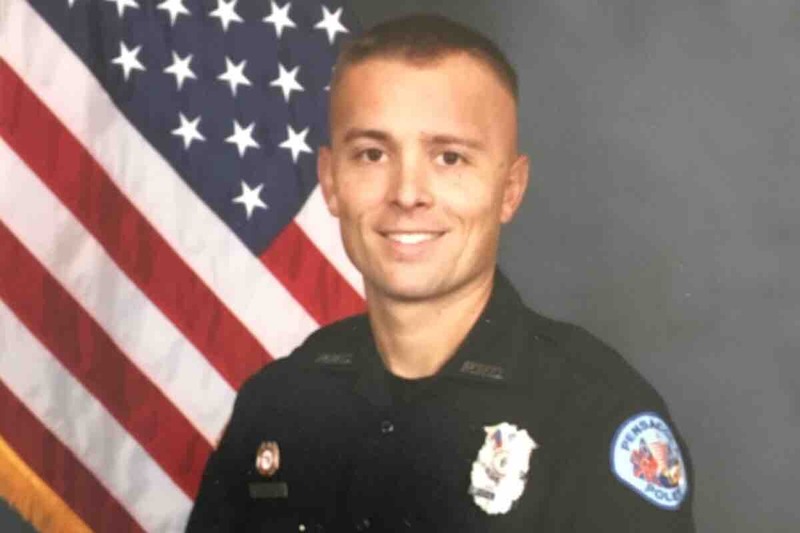 Stephen is a US Marine Combat Veteran (2007-2014), Pensacola City Police Officer (2016-present) and most importantly a husband and father. Stephen is married to the love of his life Christina who is also a Combat Marine Veteran (2007-2014) and is studying to become a RN, they also have two adorable little boys Tristan (4) and Camden (1). Since hearing this news they are worried about finances. They are applying for trials located at Duke University in North Carolina, but are worried about costs that they will incur. They also would like to take a family trip to Disney World to make lasting memories. The Grogan family deserves to not worry about finances to be able to fight this disease and to enjoy the precious moments they have left. Stephen and Christina, have both put their lives on the line and fought for our country. Stephen continues to serve the community by being a local police officer. Stephen has given so much, it is now our turn to give to him and his family. Thank you all so much! I will update as more information is given. Every little bit helps. Hello all. I wanted to start off by thanking each and every one of you for your prayers, kind words, shares, and donations. The Grogan family is blown away by the kindness of everyone out there. After weeks of phone calls, research, and waiting for a referral. Stephen was finally able to schedule a appointment with a Neuro-Oncologist @ MD Anderson. Stephen, Christina, & Camden traveled to MD Anderson in Texas on 2/18. Tristan stayed behind with his grandparents to keep a normal (ish) schedule. Stephen and Christina have returned to MD Anderson where Stephen will have a LITT procedure done. We are praying that this procedure is successful and prolongs Stephens life till a cure can be found. Knowing they have a very tough road ahead of them they continue to have faith and smiles on their faces. Every penny donated is given directly to the Grogan’s so they may continue to fight this cruel disease without worrying about the financial burden it comes with. Thank you all again.